Seaberry developed a brand-recognition campaign for the DC Department of For-Hire Vehicles (DFHV). The DFHV replaced the former DC Taxi Commission, which was responsible for the regulation of the city’s taxi fleet, maintaining a status quo of pricing and policies that favored drivers in a one-choice industry. The DFHV ensures there is choice, competition and innovation across DC's new transportation ecosystem, which now includes taxis, limousines, private vehicles-for-hire and ride-sharing platforms such as Uber, Lyft and Via. DFHV’s aggressive strategy in recent years has become a model for forward-thinking governments adopting plans to treat “transportation as a service” (TaaS). Ernest Chrappah, DFHV’s director, believes that reinventing modes of transportation is essential to promote job growth, seed entrepreneurship and reduce carbon emissions. Additionally, the strategy is necessary to make transportation in the District meaningfully accessible for the aged, veterans, people with disabilities and those who cannot afford current options. Furthermore, the strategy provides a foundation to address increasing congestion and the lack of available space to build new parking facilities or light rail in many cities. Chrappah was recently named International Regulator of the Year by the International Association of Transportation Regulators (IATR). 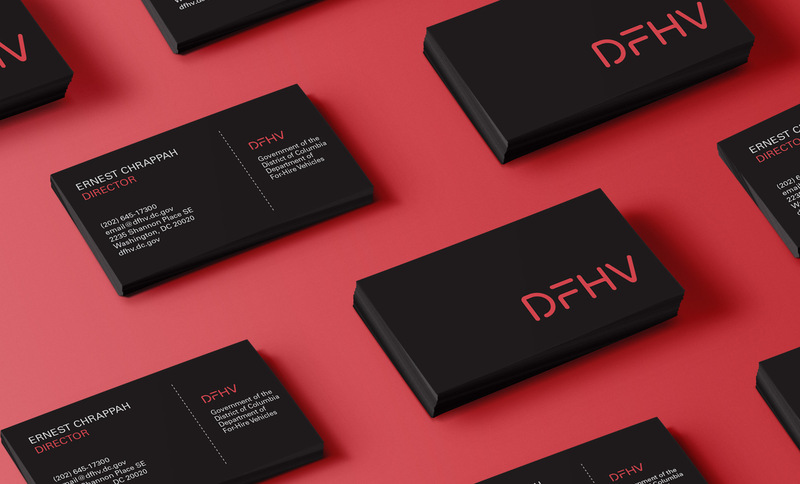 Seaberry worked closely with DFHV to develop the “Evolution of the Ride” marketing campaign to raise awareness about the DFHV’s “disruption,” which is transforming the agency's focus to entrepreneurship from growth-stifling regulation. The challenge was helping people understand the agency’s transportation evolution from taxicab and limousine regulator to transportation innovator, bringing novel strategies to the marketplace to provide convenient, comfortable and safe access to rides. The Seaberry-designed campaign uses the DC Taxi primary colors of red and gray and adds a bold, updated graphic look to the old taxi icon. The new imagery places the taxi squarely in the realm of new technology and heralds the future of transportation as a service in the District. Ads appeared in DC’s Metro stations and on Metrobuses. The campaign also includes a series of “Evolution of the Ride” videos and a hack-a-thon to spark development of tools that assist mobile hailers in the District.